New Delhi, April 15 (IANS) While the Prime Minister is not getting ahead of himself just yet on crucial appointments given that he is slap bang in the middle of the general election, the incumbent or leader of whatever the new formation emerges out of the ongoing polls has to decide on three vital slots which free up. All three critical appointees are on extension and their extensions run out around the time the new government takes over. Two top security establishment personnel who are on six-month extension retire immediately after the new government is sworn in. Intelligence Bureau Director Rajiv Jain retires on May 30 while A.K. Dhasmana, who heads RAW superannuates on May 29. With both Anil Dhasmana and Jain having to go, India's security apparatus will get new blood, and given that these are at one level political appointees, there is a veritable blue sky available. Similarly, the cabinet secretary P.K. Sinha also retires after an extension on June 12. Now this troika is vital to running the nation's bureaucratic steel-frame at one level and internal and external security requirements at another. The trinity has top billing in any government after the Prime Minister's Office, which includes the Principal Secretary and National Security Adviser in its ranks. Though the Cabinet secretary's post is for a fixed tenure of two years, like home, defence and foreign secretaries, Cabinet secretaries usually get an extension mainly because the Prime Minister looks for continuity to manage the bureaucracy. In fact, in Sinha's case, there is a precedent -- both K.M. Chandrasekhar and Ajit K. Seth â€” served for four years each, due to extensions. 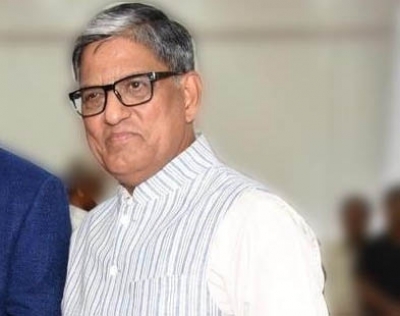 Sinha, a 1977 batch Uttar Pradesh cadre IAS officer, has thus managed a four-year term, though, again, as with his predecessors, extension of tenure does deny other eligible IAS officers the opportunity to occupy the top post in the bureaucracy. The extensions of Chandrasekhar denied the hope of Sudha Pillai of 1972 batch IAS to become India's first woman cabinet secretary. It was the case with Seth too. By extending Sinha's tenure, the PMO ensured that all contenders of 1980 and 1981 batch of IAS would have retired. As per government rules, no government servant shall be granted extension in service beyond age of retirement of 60 years. But as per rule FR 56, extension in public interest may be given "for a period not exceeding four years in the case of Cabinet Secretary". Sinha, who was appointed in 2015 for two years, got his first extension of a year in 2017 and the second one has been given now. The extension to Dhasmana pushed the four contenders to be R&AW chief into the background. On top of that list was K. Ilango, former chief of the Colombo R&AW station, where he is said to have been able to help defeat then Sri Lankan President Mahinda Rajapaksa, who went on to lose the elections in 2015. Samant Goel, a Punjab cadre IPS officer, was also in the reckoning to be the RAW chief. Two others tipped as favourites for IB chief were Arvind Kumar, a 1984-batch Bihar cadre IPS officer, and R.K. Shukla, Madhya Pradesh police chief.